After registering a complaint against Ajaz at the Samta Nagar police station, party leader Sandeep Upadhyay now expects a written apology from the former "Bigg Boss-Saath 7" contestant. Upadhyay, president of the BJP youth wing in North Mumbai who filed the complaint against Ajaz, said the apology must come within a week or "serious action" would follow. "We want Ajaz and Salman Khan to give a written apology within a week or else serious action will be taken. We have also sent a letter to Colors Channel," Upadhyay told IANS. 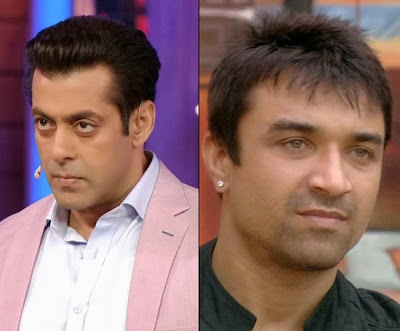 Ajaz reportedly called Modi a 'chor' (thief) during the show hosted by Salman Khan. The remark was not aired on Colors channel. But the video managed to land on YouTube. Later, it went viral on other social networking sites.